Filing a Petition for Conservatorship - Resnick Law, P.C. 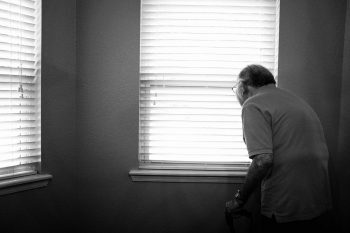 According to the National Adult Protective Services Association, financial elder abuse is a fast-growing problem affecting seniors. Seniors can find themselves financially exploited by caregivers, religious figures, as well as by family and friends. The financial exploitation that comes with this kind of elder abuse can leave the elderly person without the means to properly care for him or herself. One way in which financial elder abuse can happen is when an elderly person can no longer take care of his or her finances and is perceived as an easy target to be exploited. In these situations, someone may need to take over the elderly person’s affairs. This may be done through seeking conservatorship over the person’s estate. The initial concern for conservatorship is whether the person whose property is to be placed under conservatorship is legally incapacitated. To start the process, a qualifying person files a petition for conservatorship with a court. The petitioner has to prove that the person to be protected through conservatorship is not competent and cannot take care of him or herself. The court may also appoint a guardian ad litem to help the court decide whether conservatorship is the best option. Once conservatorship is approved, the person to be protected under the conservatorship is referred to as a protected individual. When a petition for conservatorship is filed, other interested people have to be notified of the petition in order to enable them to file any objections they may have to the petitioner being appointed as a conservator. The person who is the subject of the petition can also contest the conservatorship. Petitioners usually have a connection to the person they seek to protect; for example, an adult child may file a petition for conservatorship over a parent. If there are multiple adult children that all qualify to serve as conservators, the court chooses the child the court finds to be the most qualified or capable to take on the responsibility. Generally, the court can appoint any competent person over the age of 18 years old to be a conservator, which includes professional conservators. Once appointed, a conservator is responsible for managing the protected person’s property and ensuring that it is not wasted or dissipated. The decisions the conservator makes regarding the management of the property can be reviewed by a court, and if the conservator has misused funds, the court can order the conservator to pay the money back. A conservator is entitled to reasonable compensation, however, and this may sometimes be taken from the property the conservator is managing. If you are concerned about a family member who is elderly and at risk for financial exploitation, you should explore the possibility of petitioning for conservatorship. This can be a difficult decision to make, and it is best to have an experienced attorney walk you through the process of filing a petition and help you understand the responsibility you will be taking on. For more information on conservatorship in Michigan, contact us at Resnick Law, P.C., in Bloomfield Hills and Detroit, Michigan, to schedule a consultation.